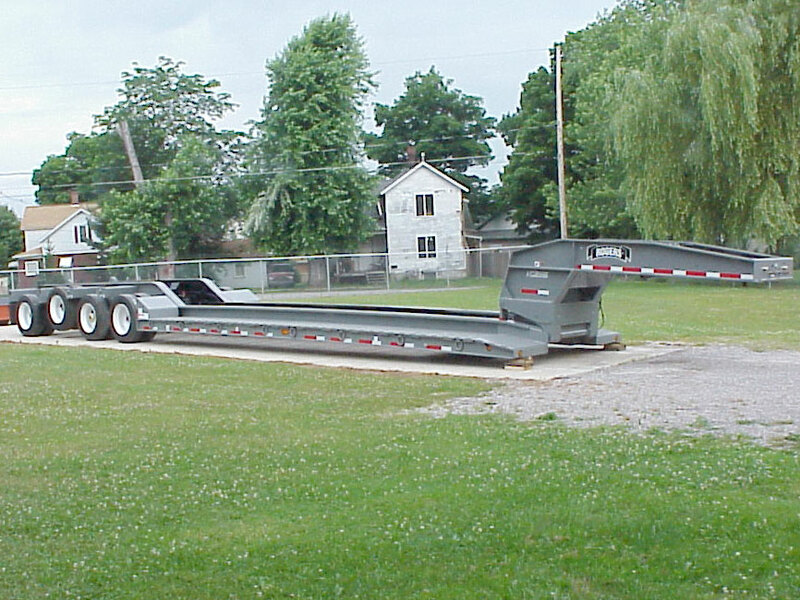 This specialized lowboy has a cambered drop side deck designed to carry 60 tons in 1/2 of its deck length. The front end's taper and the modified ramp ahead of the tires – both assist loading. The patented "No Foot"® gooseneck with a heavy lift package can pick up its load located anywhere on the deck. 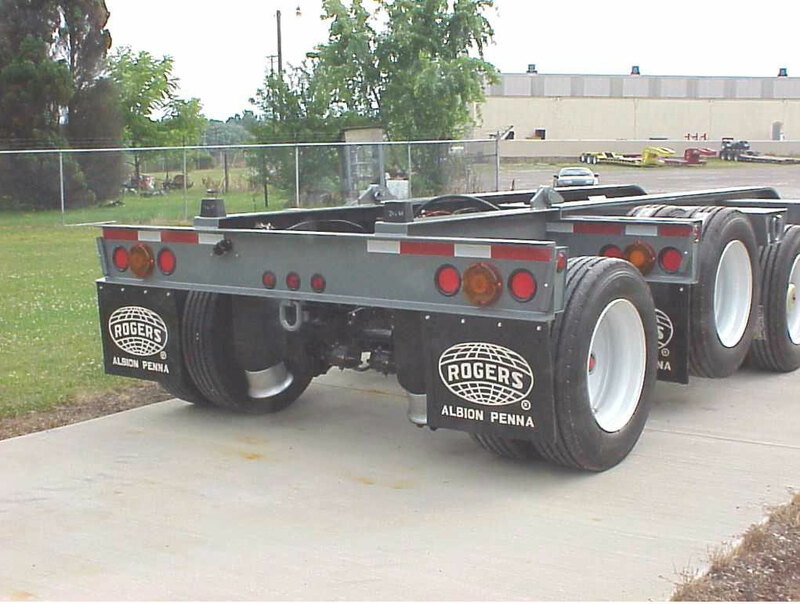 This trailer has air ride suspension, air lift on the 3rd axle and a removable 4th axle - which can be flipped onto the rear. The design of the 3rd and 4th axles gives maximum capacity when needed, and fuel and tire savings when not. Plenty of storage area in the deck for the removable side brackets. The LED lights package includes large 7" diameter amber lights for a specific "WIDE LOAD" designation.